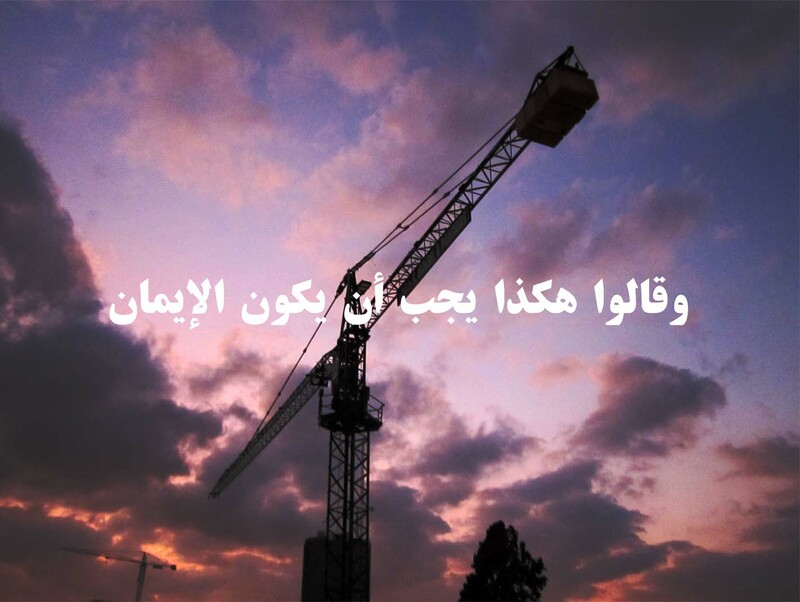 A number of images and texts, based on a classical arabic language, with a sacred and a religious dimension, touching what could be called "religious capitalism" with cliche images which look like those praising God by showing nature as an evidence to his existence and power. It is less clear what come the first: the text or the image. Neither text nor image provides mutual illumination. Instead they function around implication and “like-ness”. 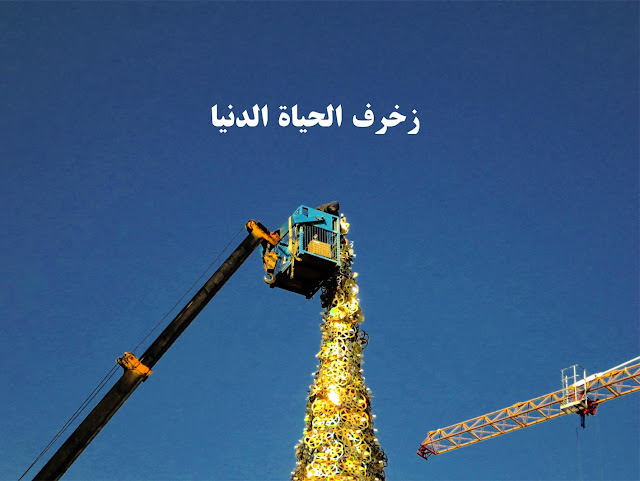 The cherry-picker machine used to complete the constriction of ritzy-looking Christmas decoration in Beirut strikes the eye equally as an industrial coal conveyor paradoxically spewing gold, as through value were already artificial, with no remaining link to its material source. When it comes to truth, I wouldn't dare to tell it. © Mohamed Abdelkarim. Simple theme. Powered by Blogger.